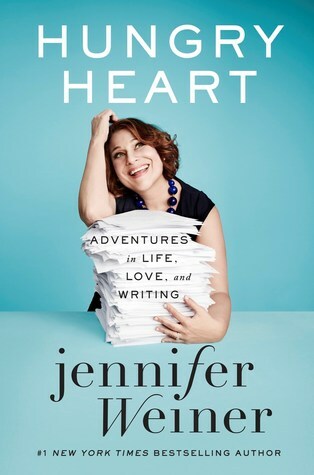 Jennifer Weiner is many things: a #1 New York Times bestselling author, a Twitter phenomenon, and “an unlikely feminist enforcer” (The New Yorker). She’s also a mom, a daughter, and a sister; a former rower and current cyclist; a best friend and a reality TV junkie. In her first foray into nonfiction, she takes the raw stuff of her personal life and spins into a collection of essays on modern womanhood as uproariously funny and moving as the best of Tina Fey, Fran Lebowitz, and Nora Ephron. From start to finish, Hungry Heart had me absolutely rolling with laughter. Weiner's writing is incredibly genuine, and there were many times where I just stopped and said, "Jennifer, you get me". I think her authentic voice is what makes this memoir so wonderful. She is easy to relate to and makes the reader feel like they're not alone. I loved Weiner's wit and charm, but there were also a few parts of the novel that I felt were a little too much. I really enjoyed the stories about her mom and grandmother, but I felt she was pretty harsh with her sister, and the stories about her dad were tough to read at times. As much as I laughed and laughed, there were heartbreaking moments as well. Her miscarriage story will stick with me for a while, but the way she wrote about it with so much detail... let's just say I had a hard time getting through that chapter. All in all, Weiner's memoir was lovely and the good outweighed the bad. There were funny moments, truthful and genuine moments, sad, heartbreaking, and eye-opening moments. All of the stories combine to tell the story of a woman who wants her readers to understand that she is just like us. I would recommend this to women for a good weekend read. I think It really interesting is a book, I will advise it for my wife. Thank you so much for sharing! I love books but I have buy essays that I need to work cuz It's usually takes no much longer than other forms essay. I usually read reviews on My Assignment Help or on something like that but your review on that book is really impressive. Thank you for posting, I am looking forward to reading more!